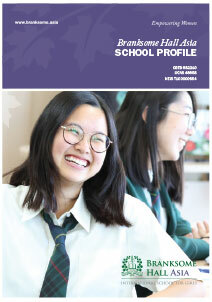 All students (Junior Kindergarten Prep to Grade 12) study a coherent program that includes, English, a second language or mother tongue language, social sciences, science, mathematics, and the arts. 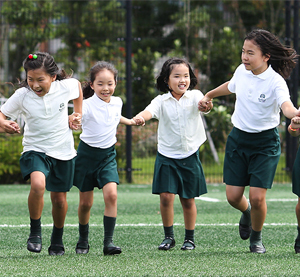 Physical and health education is compulsory until Grade 10. Technology is integrated into all areas of the curriculum. 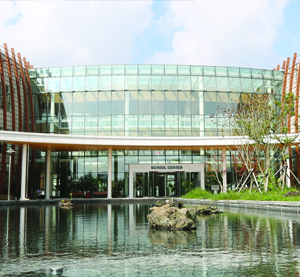 In all programs, Korean language, social studies, and history are taught. In the Middle and Senior years, optional courses are available for students to explore a breadth of study. 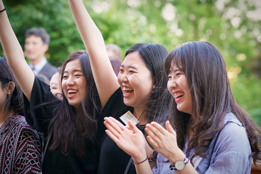 Students can choose from the following courses: Digital Design, Product Design, Visual Arts, Music, Drama, Business, Economics, Geography, History, Korean, Chinese, and Film Studies. Starting in Grade 10, students can pursue a specialty in the sciences (Chemistry, Biology, Physics, Environmental Systems and Societies). All faculty members, particularly Guidance Counselors and University Counselors, support students and their families understand the course options and criteria for success. 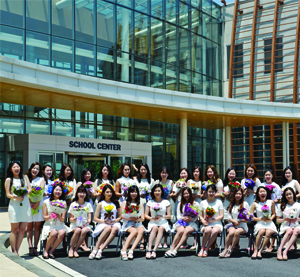 An extended Korean program enables students to have enriched Korean language instruction as well as instruction in Korean History and Social Studies. Classes in English as an additional language are available to students whose mother tongue is not English. 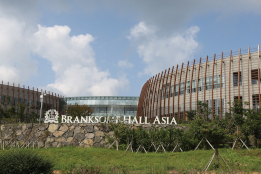 Branksome Hall Asia has a highly qualified and experienced faculty. Our class sizes are small and our faculty members are engaged in significant on going professional learning. Faculty members are actively engaged as workshop leaders, school consultants, resource developers and examiners for the IB and other professional organizations. Our faculty are integrally involved in our rich co-curricular program. 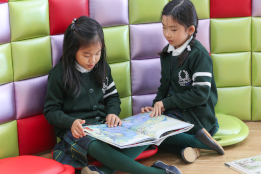 Our Branksome Hall Asia students experience a coherent, seamless education from Junior Kindergarten Prep to Grade 12, providing them a distinct advantage, the Branksome Hall Asia advantage.